Home Interior Bedroom Solid Wood Furniture Or Veneer Furniture ? Solid Wood Furniture Or Veneer Furniture ? 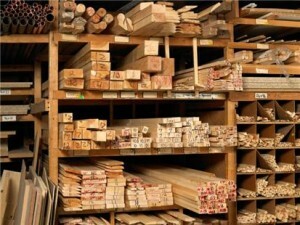 Wood is likely to be the favourite material for furniture making. But what are the exact differences between solid wood and veneer, and which option will be better for you? When listing the advantages of wood, you cannot ignore the fact that wood can be disposed of easily and ecologically. In addition to the structural elements (ceilings, roofs, boards, beams), wood is also used in interiors (windows, doors, stairs) and for manufacturing of furniture. As to furniture, two terms are used: solid wood and veneer. What is the difference between the two forms of wood? What Is The Difference Between Solid Wood And Veneer? In the past, only solid wood furniture, not veneered, was produced in the country, as many people did not trust the soundness of furniture veneer. Due to its properties, solid wood is a material with multiple application. It can be used (with regard to the quality and type of raw material) virtually everywhere, no matter whether it is in a form of glued board or layered board (i.e. bio-board). In interior, it is used especially for furniture, but for doors, windows, floors and panelling, as well. On the other hand, veneer is a thin strip of wood, generally of high quality. It is used for coating furniture parts, floors, doors and wall panels, for manufacturing of plywood etc. Veneer sheets are made 0.2 – 3 mm thick. Where Is The Best Location For Solid Wood Furniture? The purpose, i.e. the use and the location of the furniture, is important, above all. Solid wood furniture made of softwood (spruce, pine) is more suitable into a children’s or student’s room. However, if you are furnishing a representative interior, veneered furniture is preferable; it may be in combination with solid wood (cherry, walnut), metal or glass. In accordance with a related directive, veneered furniture must be just as resilient as solid wood furniture, made of hardwood. Veneer is used for enhancing the value of a lower quality material, natural or industrial, such as particle board, batten and MDF board (Medium Density Fibreboard ). At present, veneer is used on PD, DVD, DTD boards and on batten. In all cases, veneered furniture is heavier than solid wood one. The disadvantage of veneer is the risk of peeling of individual plies from the base as well as the risk of sanding through during repairs. The advantage is that veneer components are dimensionally stable. 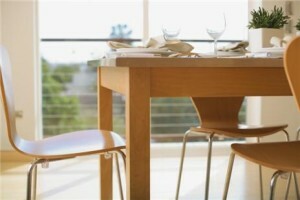 Although it is a pure natural material, prices of solid wood and veneered furniture are comparable. Furniture made of laminated chipboard, and from similar materials imitating wood grain, is cheaper, especially if it comes from the east. However, in case of some really cheap products, the material used may be questionable, which is related to the consequent issue of health safety (contents of biphenyl, dioxin and formaldehyde). 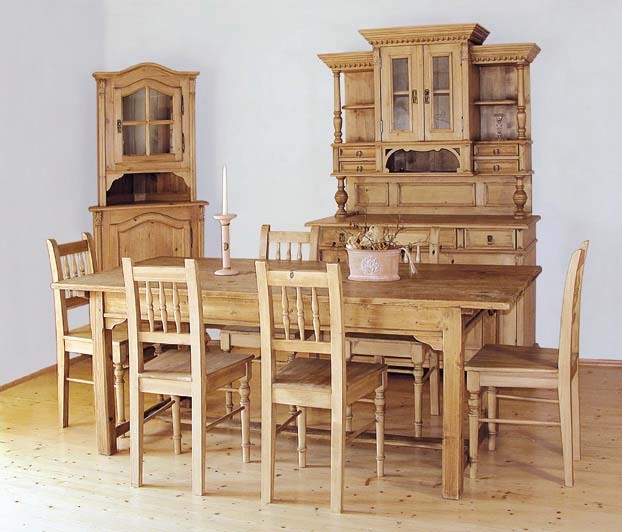 Maintenance of solid wood furniture is simple – as little water as possible. A damp cloth soaked in soapy water is sufficient. It is ideal to use a special product for the wood/timber care. With a proper maintenance, furniture can serve you well for decades. 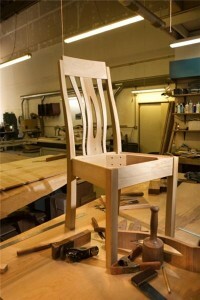 Veneer is maintained within the appropriate care for furniture. However, you should not expose veneer to direct sunlight, to the effects of alcohol and to large fluctuations of temperature. In a case of damage, veneer is repaired by by gluing the back, in the case of breaking a ply of veneer, by inserting a new piece, and in case of damage to the finish, by sanding it. At the beginning, you select the wooden furniture in a store. Every customer should decide a few basic things before shopping for solid wood furniture: the first one is the choice of a supplier. Unfortunately, it becomes common that some wholesalers offer imitations of products of established companies on the market, however the quality is incomparable; anyway, a customer cannot see these facts on a promotional flyer. That is why you need to see and literary touch the furniture first. Further it is important to ask a salesperson, if the furniture has certificates for health and for product safety. If a manufacturer skimps here, it is very likely that they save elsewhere, too. If the furniture it is supplied in a disassembled form, a durable carton packaging is important, and it also must be provided with a good assembly instructions. Because if you bring a pile of boards wrapped in plastic home and try to assemble e.g. a dresser without any logical instructions, it could be quite a task even for a pro. Because you do not buy furniture every day, the orientation at the lowest price, unlimited shop hours or an over-sized parking area in front of the store only could backfire. These indicators may be tempting, however secondary and often confusing for selecting of quality furniture.